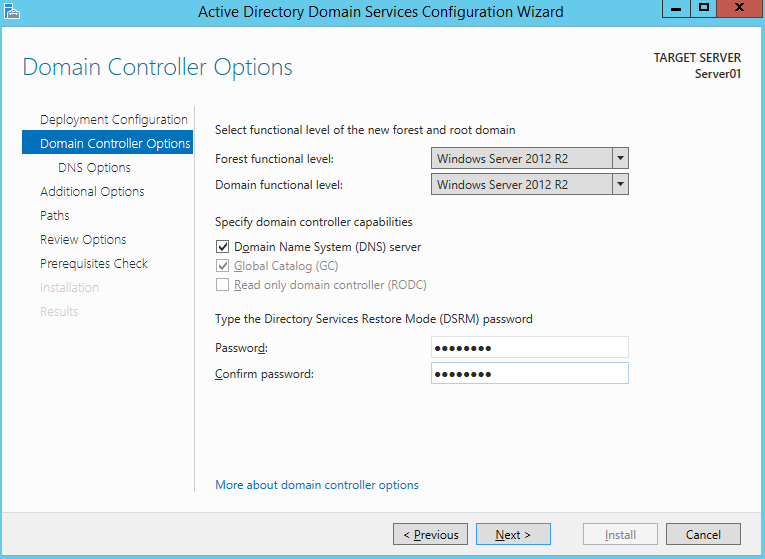 This is a step-by-step guide on how to create the first domain controller in a new Windows Server 2012 R2 forest. 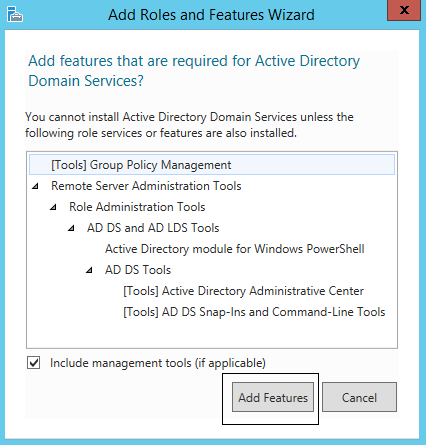 If you are going to perform a test lab of any kind, involving Windows servers, you will most certainly need an Active Directory Domain. 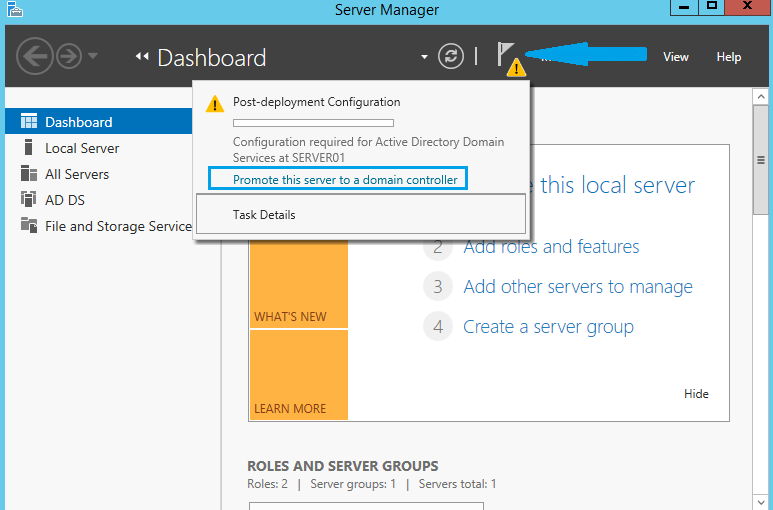 Dcrpomo.exe is deprecated beginning in Windows Server 2012, so the process is slightly different from how it used to be in the 2008 iterations of Windows Server. In this lab I’m using VirtualBox as virtualization software, as I feel it’s the easiest one to work with, when you just need a simple test lab to test something quickly. Download and install VirtualBox, the installation procedure is quite straightforward, so I’m not going to write in details about that. 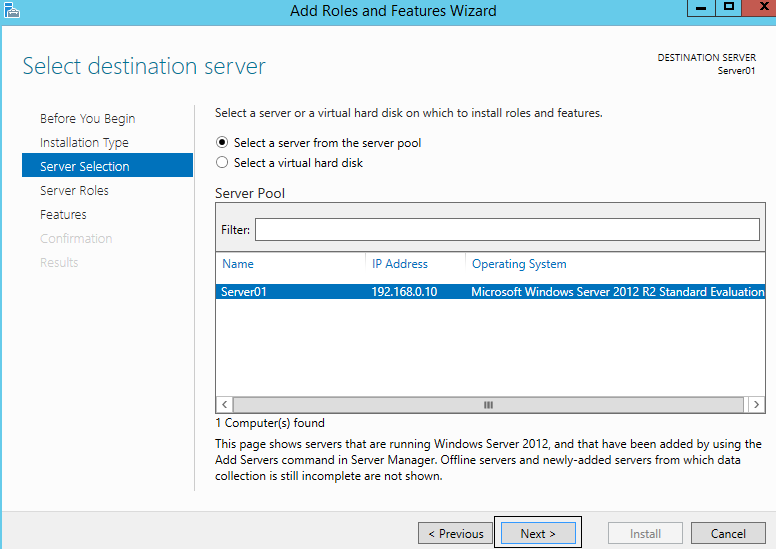 Then create a virtual machine, called Server01, with 1GB ram and 30GB disk. 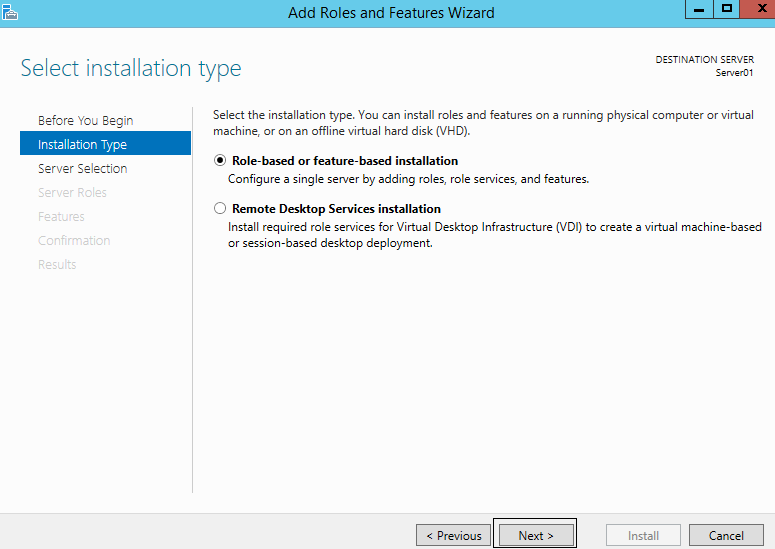 Install the Guest Additions for VirtualBox, and restart the server. 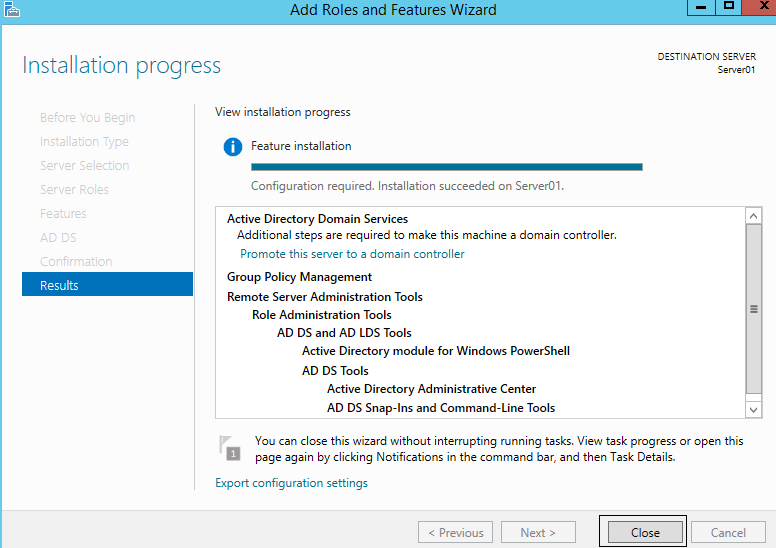 You are now ready to promote it to a domain controller. 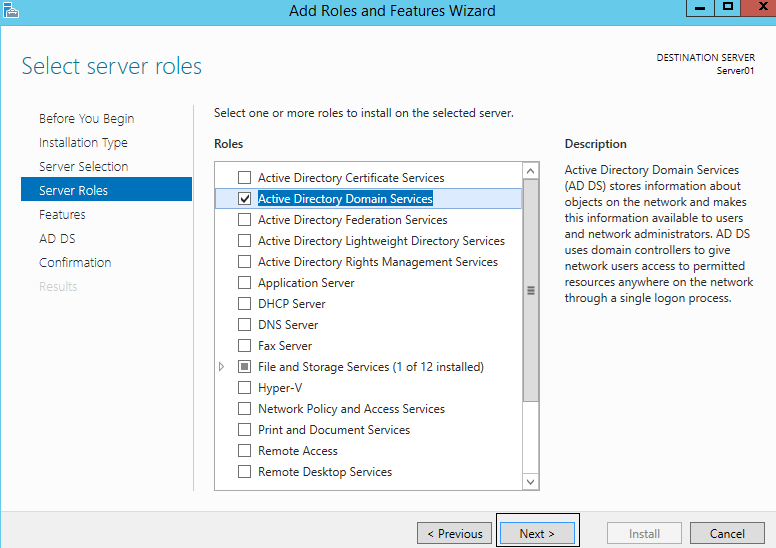 After installing the AD Domain Services role, you will have to promote the server to a Domain Controller. 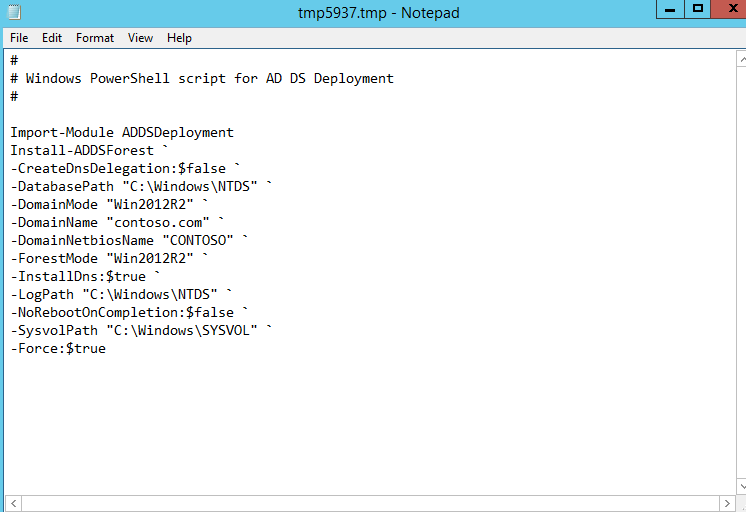 This can be done through PowerShell or the Server Manager GUI. 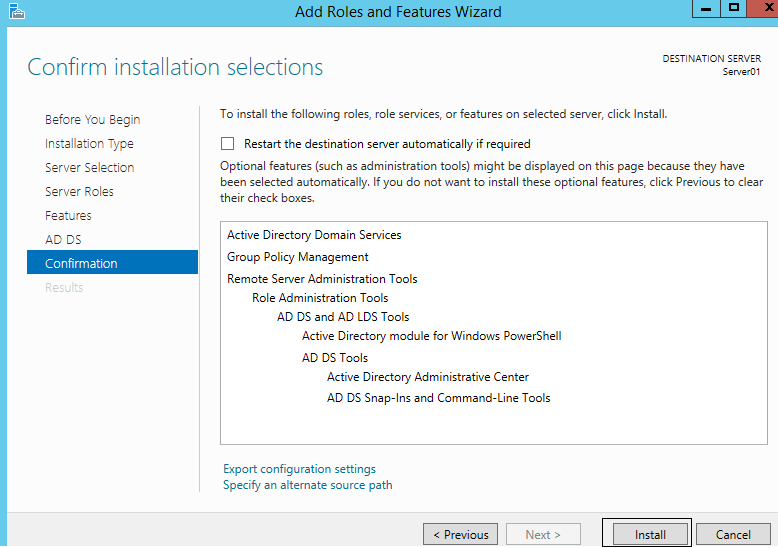 In this blog post, we will utilize the AD DS configuration wizard in the GUI. 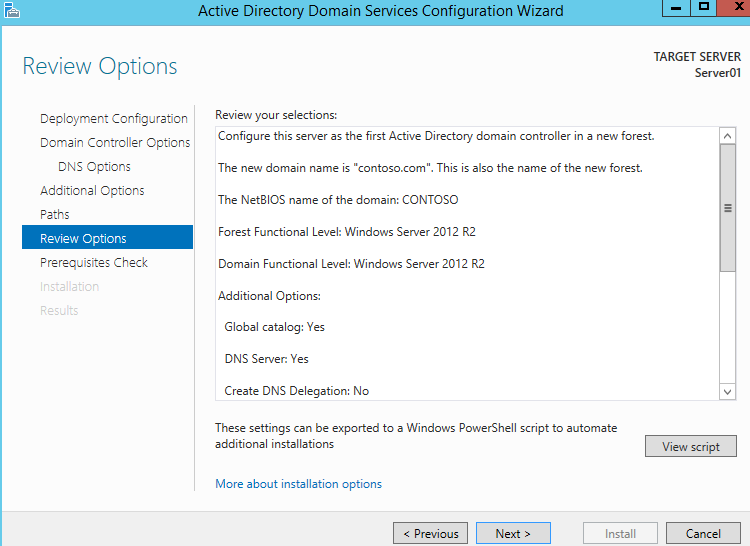 2.2.3 Since this is the first domain controller in the forest, and it is running Server2012 R2, you might as well set Forest Functional Level to Windows Server 2012 R2, which will entail that Domain Functional Level must (also) be Windows Server 2012 R2. 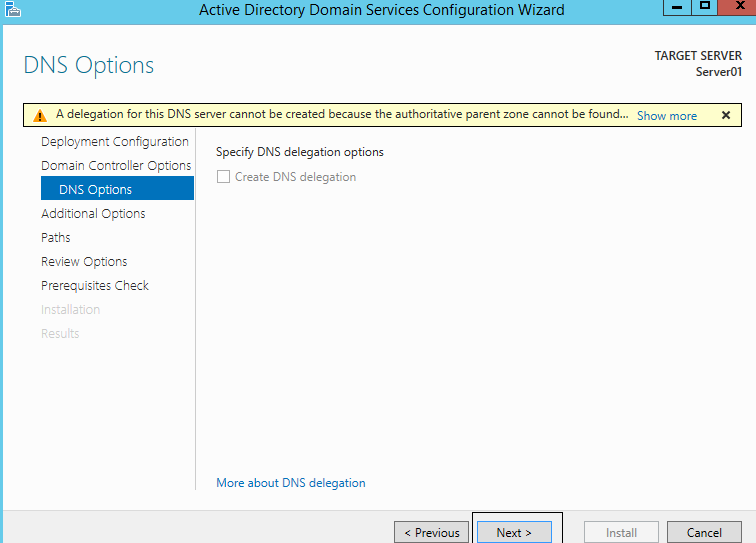 The first DC in a forest must be writeable and a Global Catalog server, also leave the check mark for DNS. 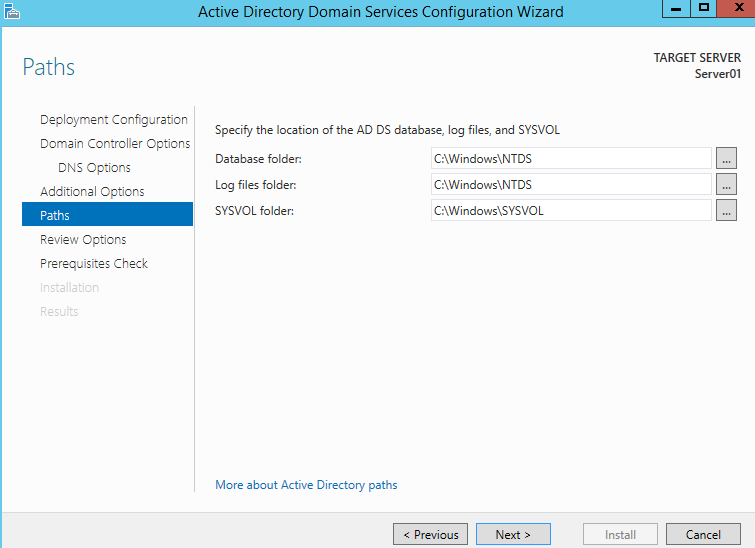 Type a password for DSRM, then click Next. 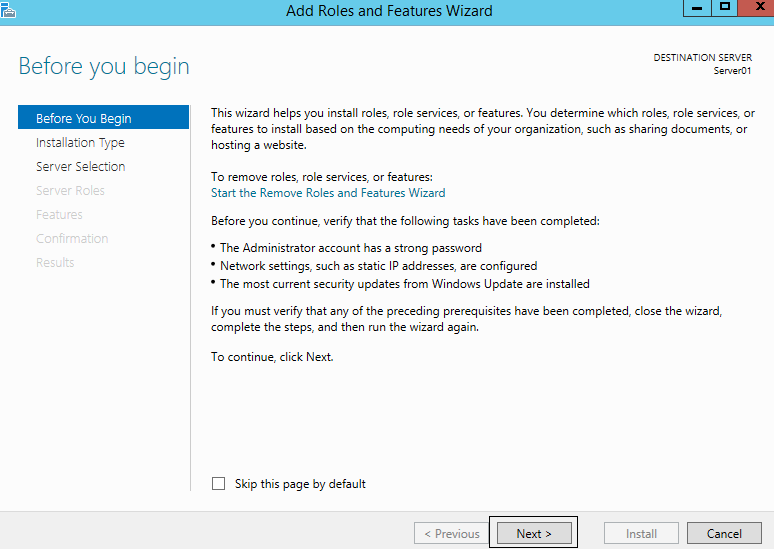 Log on as Contoso\Administrator with the same password as you used earlier to log on as the built-in local administrator account. 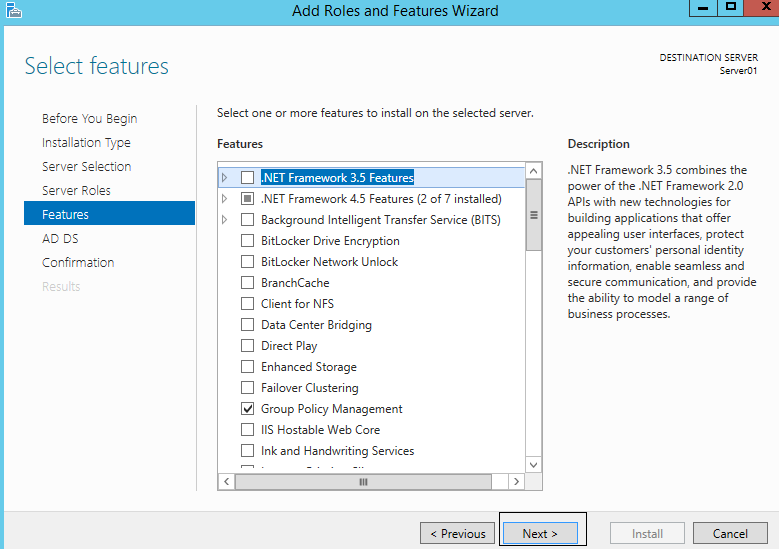 There are several ways to verify installation of AD. Below are a couple of the simplest ones. 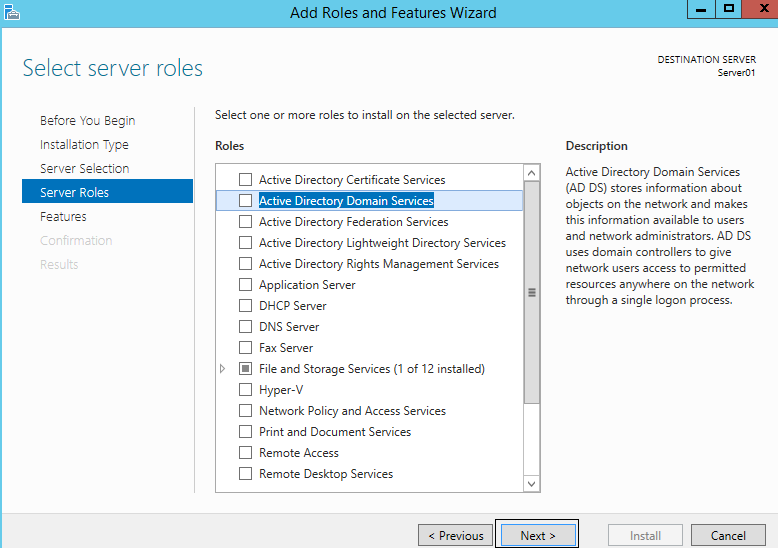 2.3.1 Start the Active Directory Users and Computers snap-in. 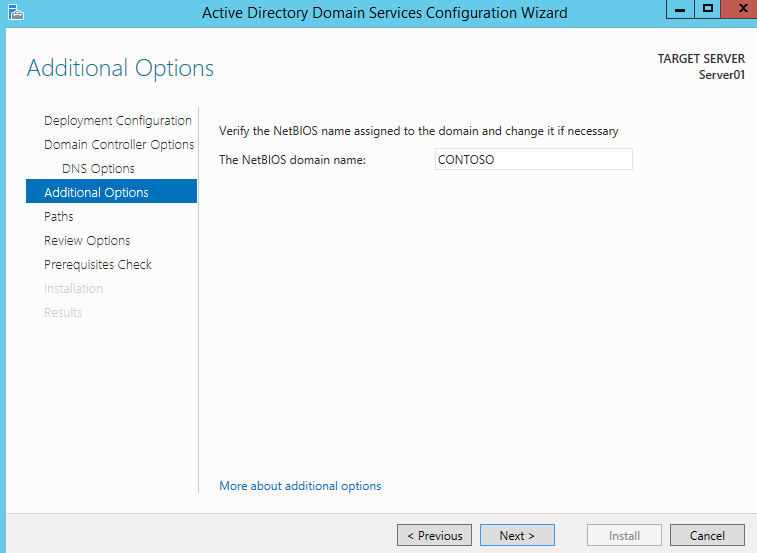 If you can bind to the domain controller correctly, you will see the contoso.com domain, and you will not receive any errors when expanding it to view its contents. 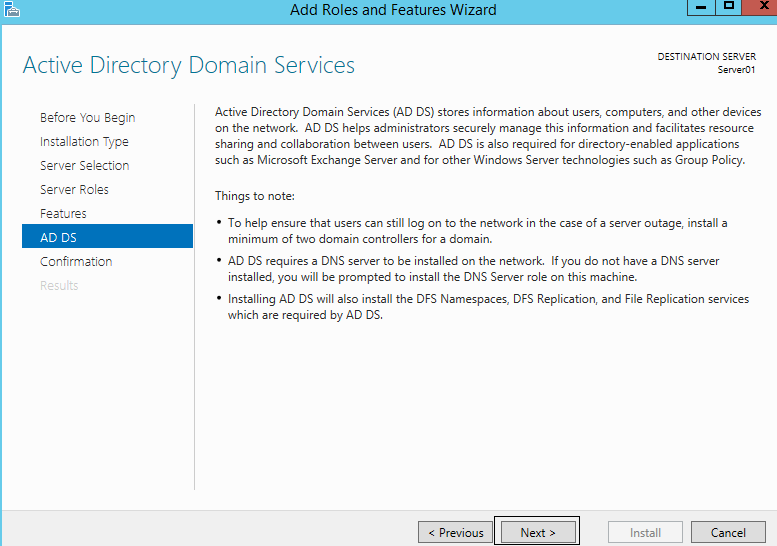 2.3.2 Start the DNS Manager snap-in. 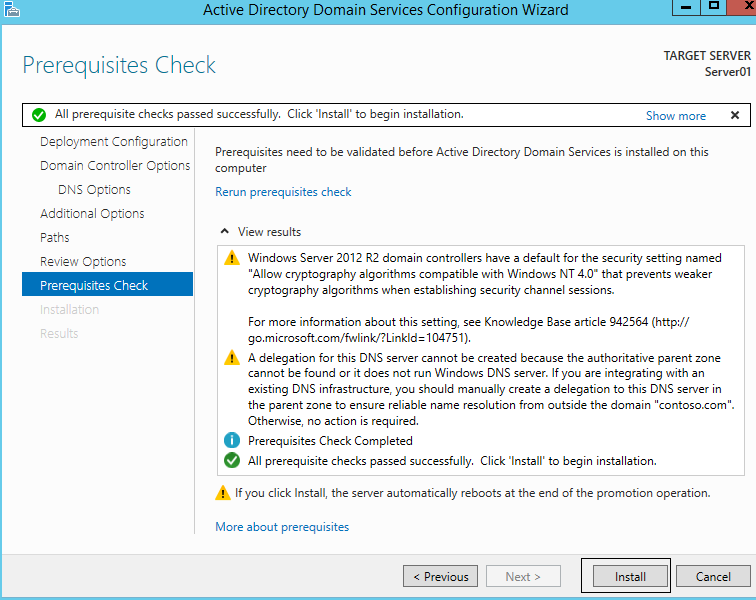 Here check for the _msdcs.contoso.com and contoso.com forward lookup zones. 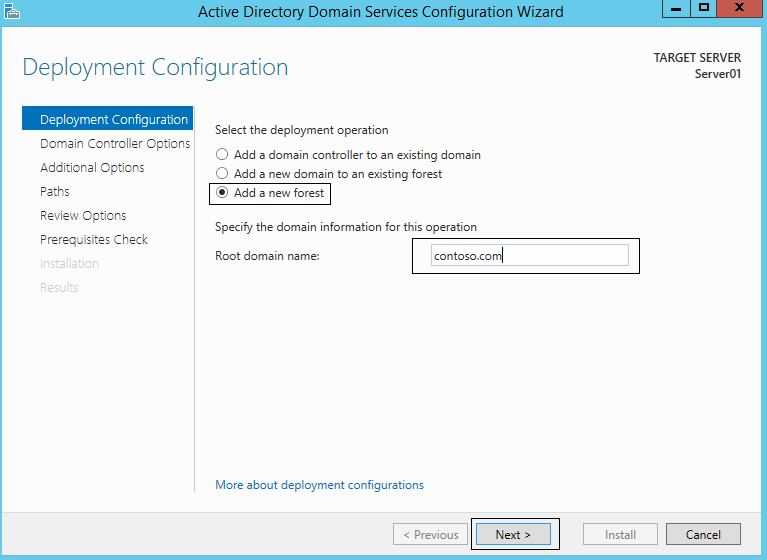 Also check your new domain controller’s SRV records in the tcp folder of contoso.com.